Think of it this way: shadows are bad. While performing complicated procedures – and simple ones at that – it is imperative that all the nooks and crannies of the surgical cavity are illuminated when they need to be. With overhead lighting or misaligned headlights, shadows can arise in places they shouldn’t. However, when light is properly aligned, the beam follows the gaze of the surgeon. 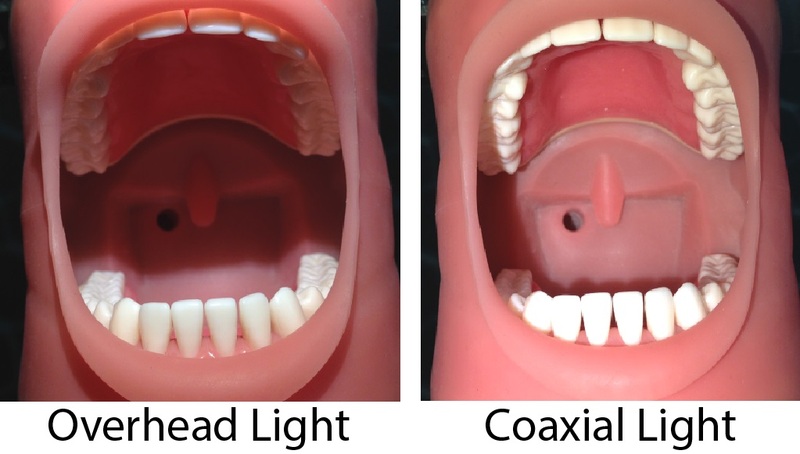 Using coaxial alignment, the necessary body parts are always illuminated without interference from shadows. With Enova’s four-point pivot bracket, coaxial alignment has never been easier. Step One: Put headlight onto head and adjust ratchet(s) and top strap (if applicable). Headlight should fit snugly onto head, without feeling tight or constricting. 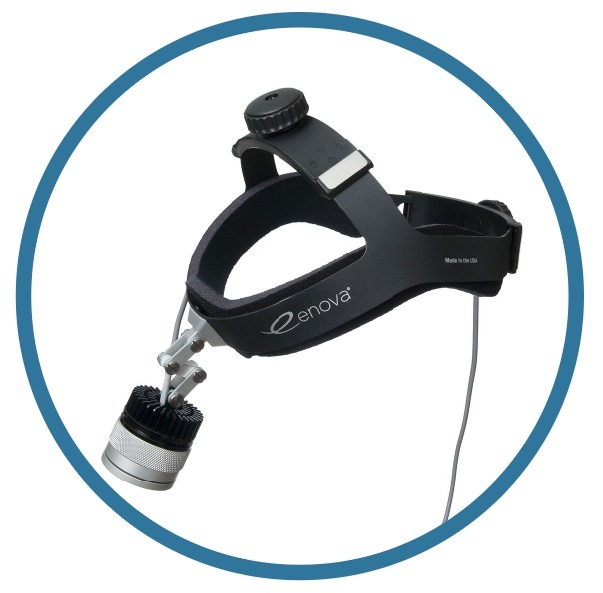 Step Two: Using two hands, adjust pivot bracket such that headlamp is in line with vision, situated near the bridge of your nose. Make sure lamp is not obstructing view but is coaxial with eyesight. Step Three: Plug headlight into PowerPack and turn on using red power button. Adjust brightness using “+” and “-“ buttons to your needs. 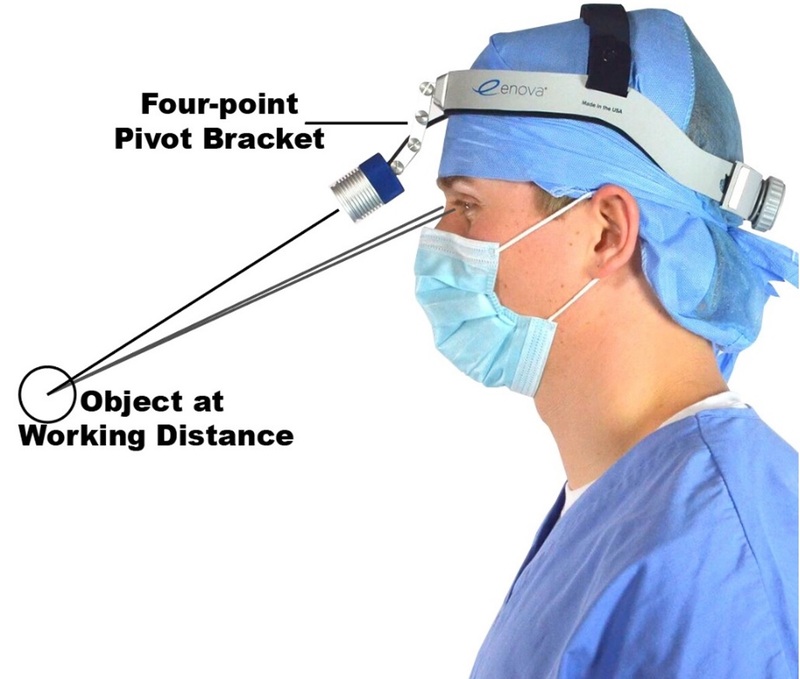 Step Four: Move head side-to-side and up and down to make sure your field-of-view is properly illuminated, and there are not shadows in the surgical field. Step Five: If illumination is incorrect, readjust to obtain coaxial alignment and desired brightness. All light sources that humans encounter in their lives illuminate surroundings in different ways. Our eyes receive electromagnetic waves from objects based on how the objects are interacting with the light sources around them. Put more simply, light isn’t just bright or dim but instead encompasses many other qualities. Two very important qualities of light sources is their color temperature and their color rendering index. Color temperature has any number of applications but can be seen visibly as the apparent color of the light source. For instance, blueish-white (like halogen bulbs) or yellowish-red (traditional incandescent light). Warmer color temperatures are associated with less eye fatigue. Color rendering index (CRI) is a measure of a light source’s ability to faithfully reveal colors. In applications such as surgery, higher CRI allows for greater tissue distinction through color differentiation. Enova’s PLT series utilizes the benefits of warm color temperature and high CRI to maximize tissue color differentiation and comfort of use. The PLT-165A, for instance, has a color temperature of 4500 Kelvin (warm) and a CRI of 95 (out of 100) all while pumping out 165,000 lux. This means your surgical subject will stay well-illuminated with market-leading tissue color differentiation, and your eyes will stay focused and awake throughout the surgery.